NOTE: Special package discount for enrolling in both programs! Online Booking & Payment - TO BOOK CLICK HERE! At Davey's Bay Yacht Club, our Junior and Youth Sailing Programs emphasise fun on the water for the next generation of young sailors. For several years now, we have been running very successful Tackers Programs, aimed at ages 8+. DBYC Pre-Christmas Tackers runs on Sunday mornings in November and December with the January 4-Day Program running over the Australia Day long weekend. The programs cater to novice sailors with no prior sailing experience through to our advanced sailors who are developing their racing skills. Most juniors sail in Optimist dinghies with many families owning their own boats. 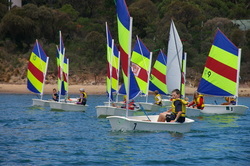 Davey’s Bay owns nine OziOptis, which are shared amongst the beginner sailors, as well as a fleet of Pacers for sailors progressing from Junior classes. DBYC also offers a Race Training Program for Tackers participants and parents on Sunday mornings in the second half of the season. All programs are run by qualified Instructors and Assistant Instructors from the local area. 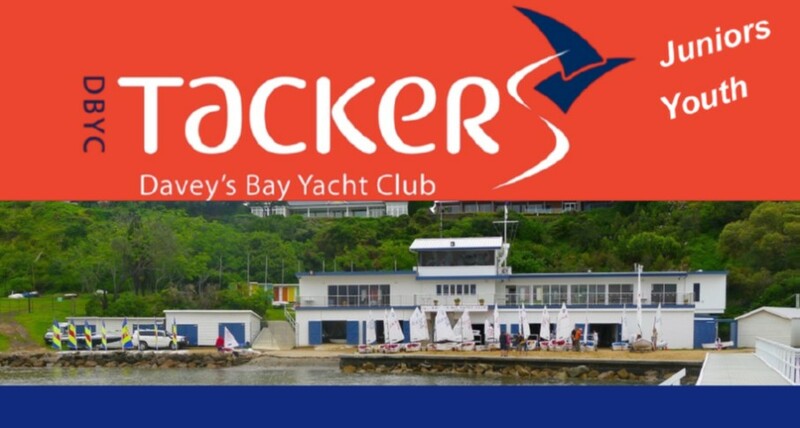 For more information about our Tackers Programs, send an enquiry in the link on the DBYC Homepage.